Sicklefishes are members of the Drepaneidae family. They are found in Indo-west Pacific and West Africa waters. They have oval and strongly compressed body with highly protrusible mouth. 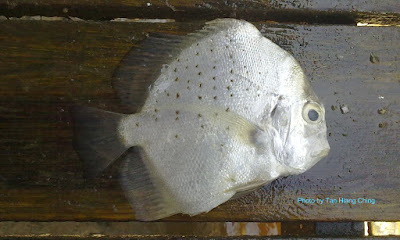 Sicklefishes are frequently found inshore, on sand or mud bottoms, reefs, estuaries and harbours. They feeds on benthic invertebrates; mainly crustaceans and worms. There is only one genus and about 3 species of sicklefishes worldwide. 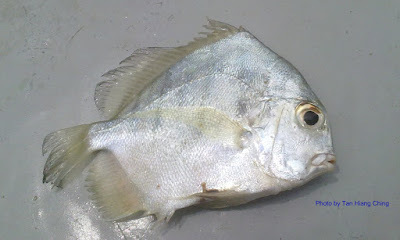 Two species are found in Malaysia waters. Main Diagnostic Features: Body with dark cross bands. Main Diagnostic Features: Body with dark dotted cross lines.